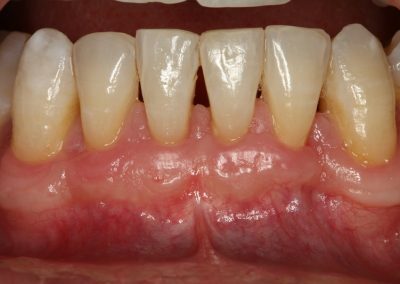 Crown lengthening is a minor periodontal surgical procedure that includes reflecting the gum, re-contouring the underlying bone and suturing back the gum at a newly established level. 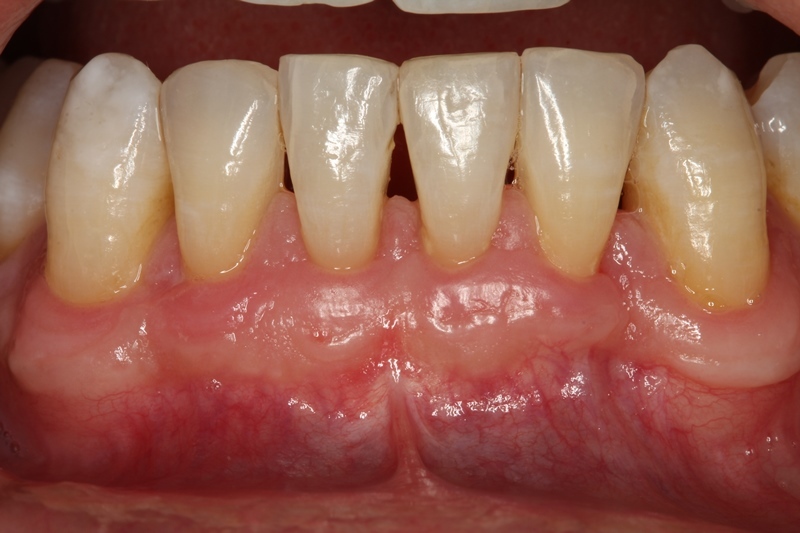 Crown lengthening is not cutting the gums away, as some may refer to. 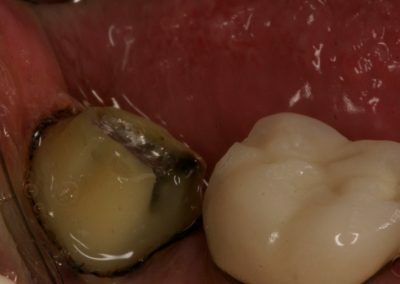 In order to fabricate a crown it is required to provide adequate tooth structure above the gum, to support the crown otherwise the crown will keep coming off. Even if you re-cement it a couple of times, it will never fit as well as the first time and it leaves open gaps that will lead to recurrent decay under the crown. 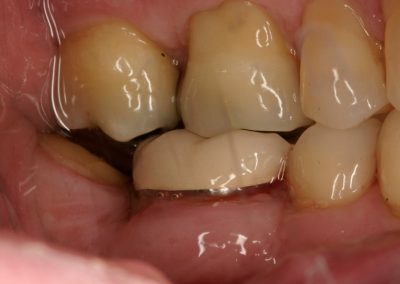 In cases where crown lengthening is indicated but it is not performed, persistent inflammation around the tooth and/or dislodgement of the crown is usually anticipated. 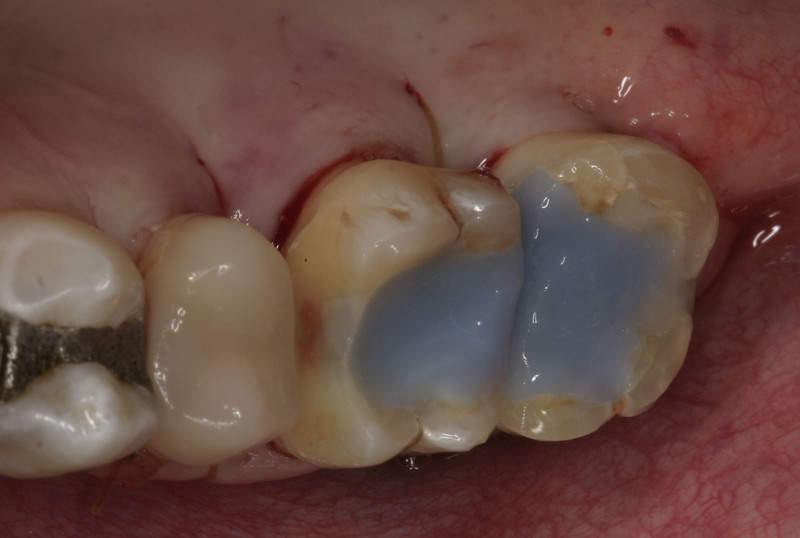 No one cement can provide adequate resistance to dislodgement of crowns if it is too short. 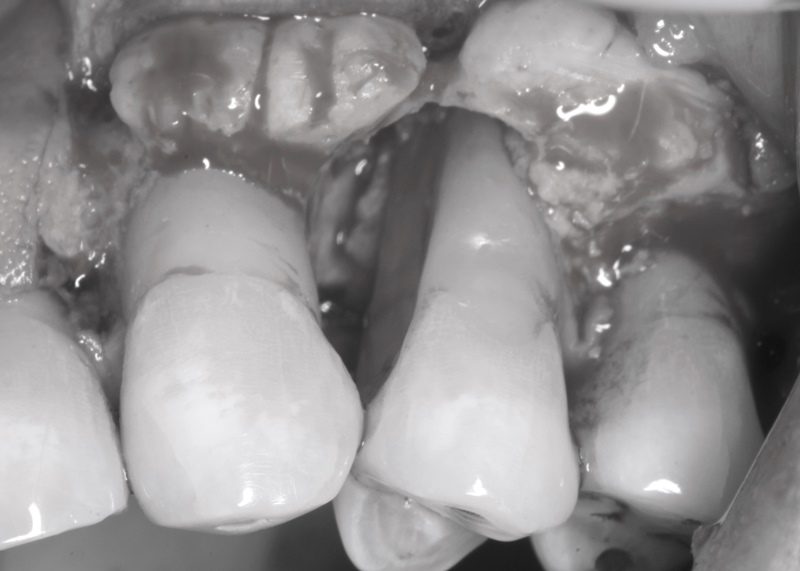 I have provided some clinical examples of crown dislodgement when the remaining teeth structure were too short and crown lengthening was not performed prior to fabrication of crown. 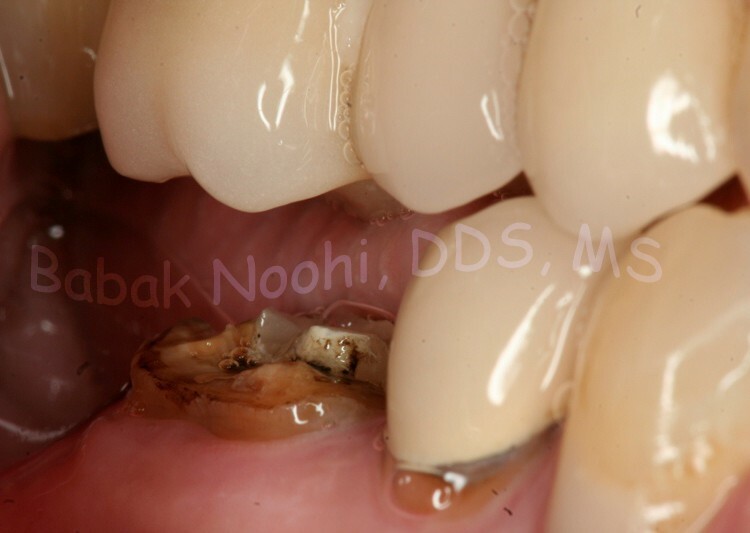 Dr. Noohi, being trained in both prosthodontics and periodontics, is in a unique position to make a proper diagnose, assess the risks and make a strategic treatment plan to save your teeth. Refer to the photos at the end of this page. teeth are filed but they are too short to support crowns. CL is performed and sutured. CL compleated and healed well and ready to receive the Crowns. 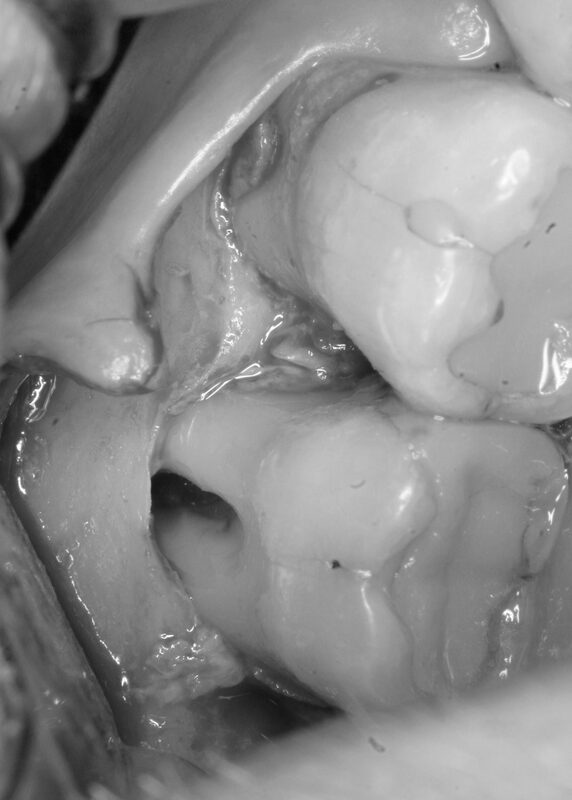 In this case the Crown #31 came off a few times and it was recemented. Finaly it came off while patient was eating and he swallowed it. 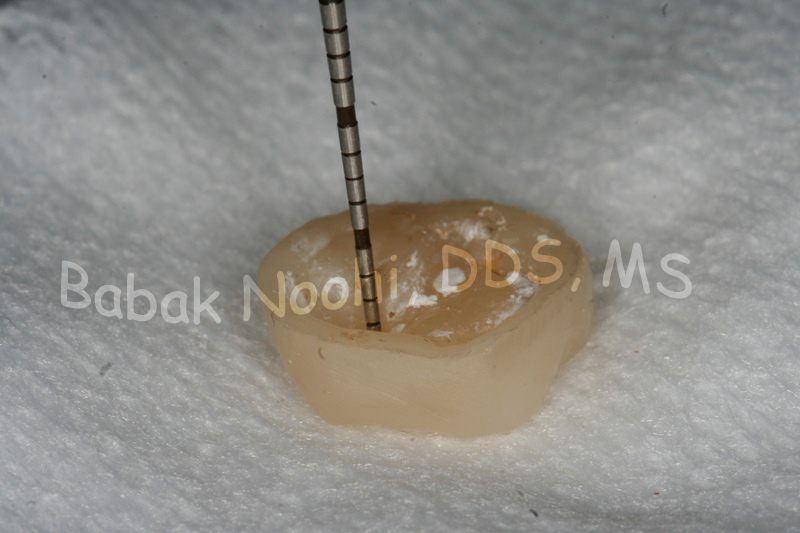 I recommended to have Crown Lengthening Performed prior to fabrication of a new Crown. 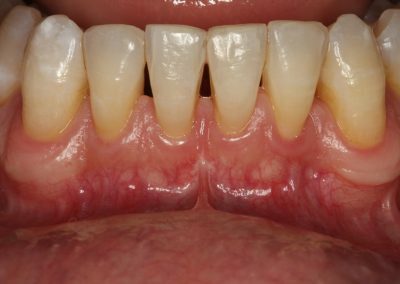 You can see the obvious outcome of increasing the length of the tooth and more ideal tooth preparation. 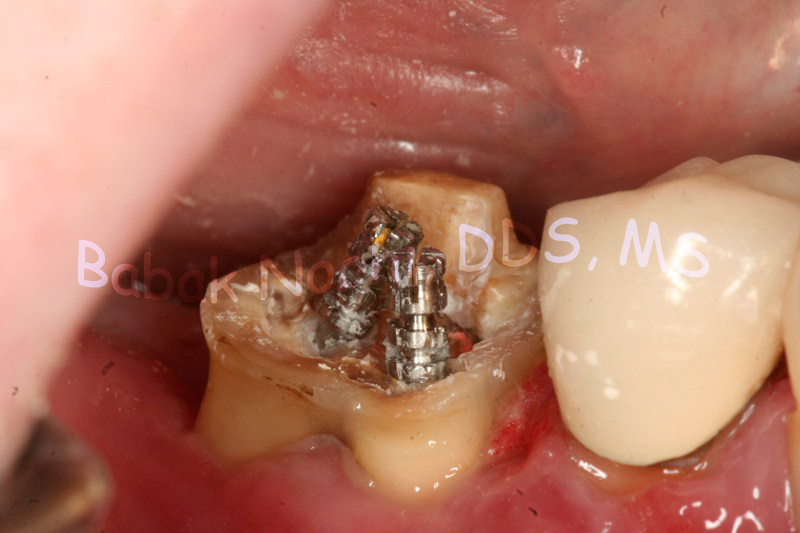 #31 Orignal Crown fell out and pt swallowed it. It is too short to have another crown. 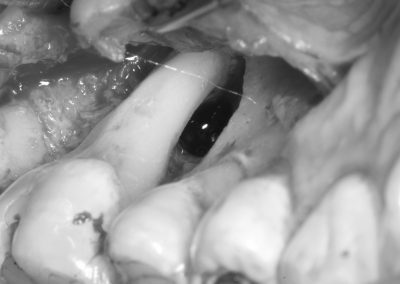 CL was performed to extend the length of the tooth. 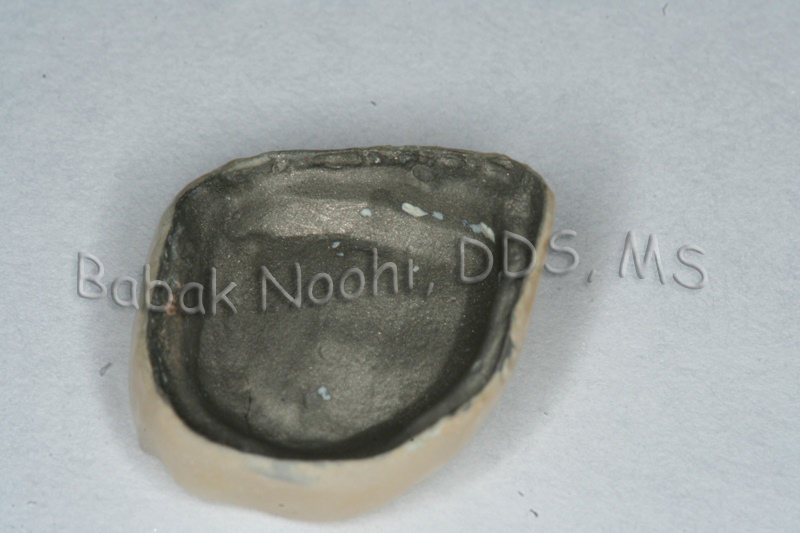 This tooth was treatment planed for extraction and replacement by a dental implant. My patient was a retired gentelman who had sold his house and had planned to move to FL within 40 days. 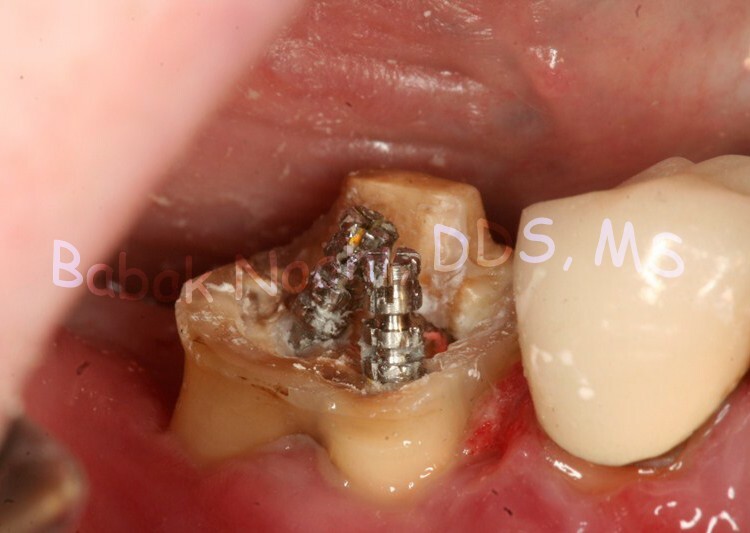 He asked me something that would be done before he leaves and could not wait a few months for a dental implant. 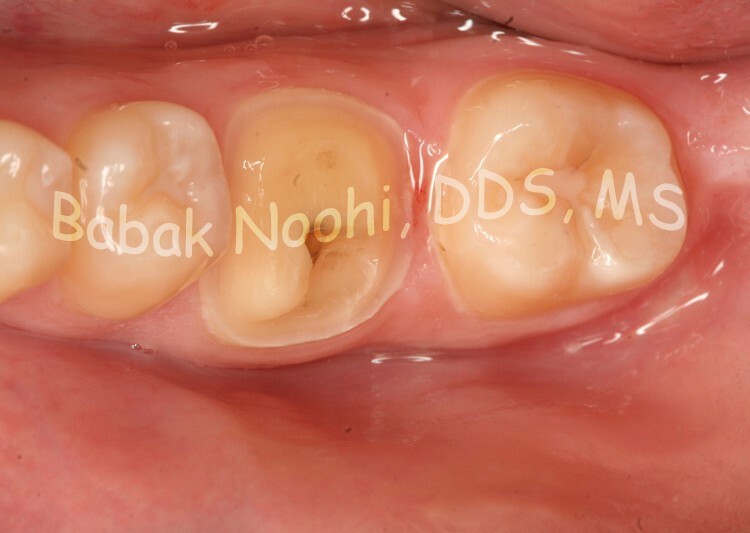 I offered him to perform Crown Lengthening procedure in order to provide adequate tooth structure to grab the crown. Two Posts were used ( instead of just one) to re-built a core to support the future crown. 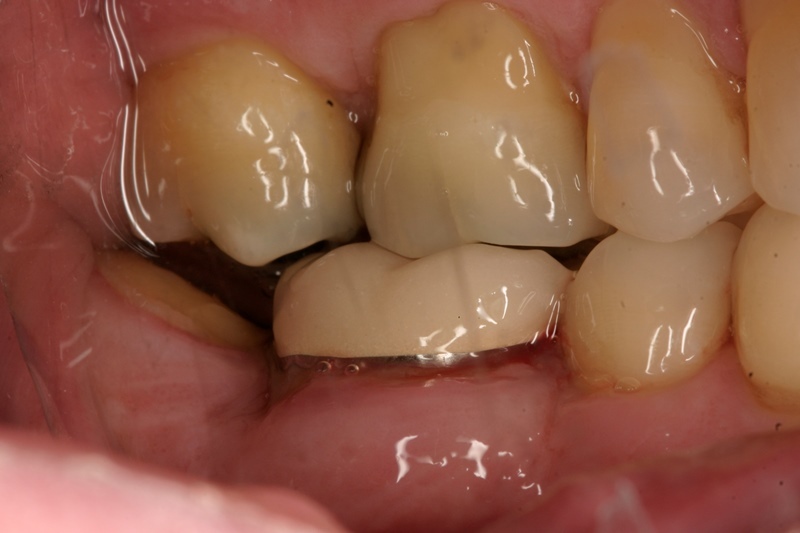 You can see the amount of tooth structure has significantly increased after crown lengthening is done. 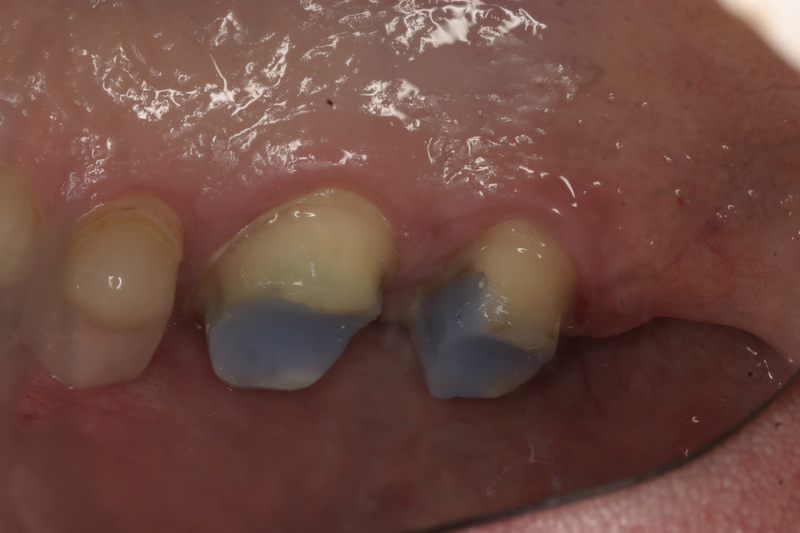 These photos present cases where crown lengthening should have been done prior to crown fabrication. 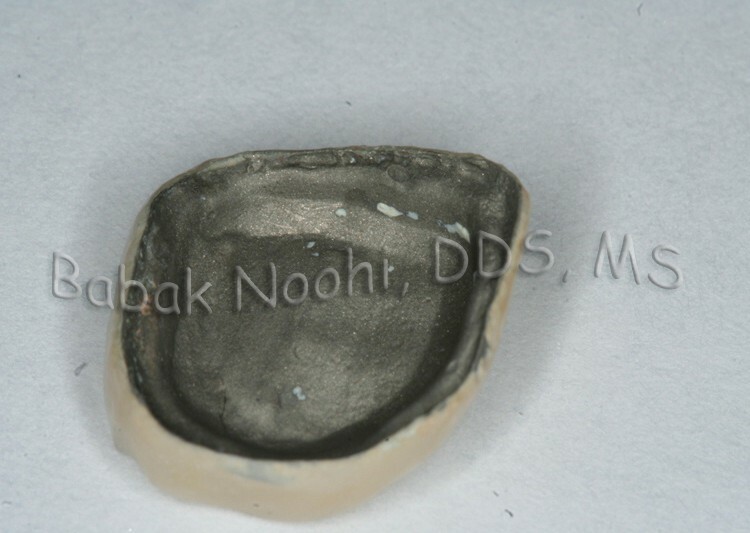 Another case where the crown consistently came off, and it’d been re-cemented by the doctor who had done it. Patient was frustrated and sought help at another office. My message to you as a patient is, “do it once, but do it right”. 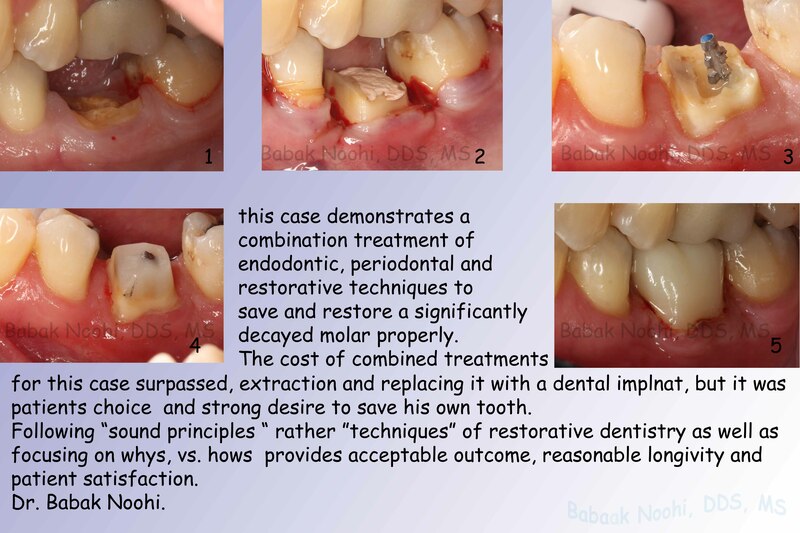 The most expensive dentistry is “re-doing dentistry”. You may pay a little more in the beginning but you’d would pay less in the end because you do not have to do it all over again, and won’t risk loosing your tooth. 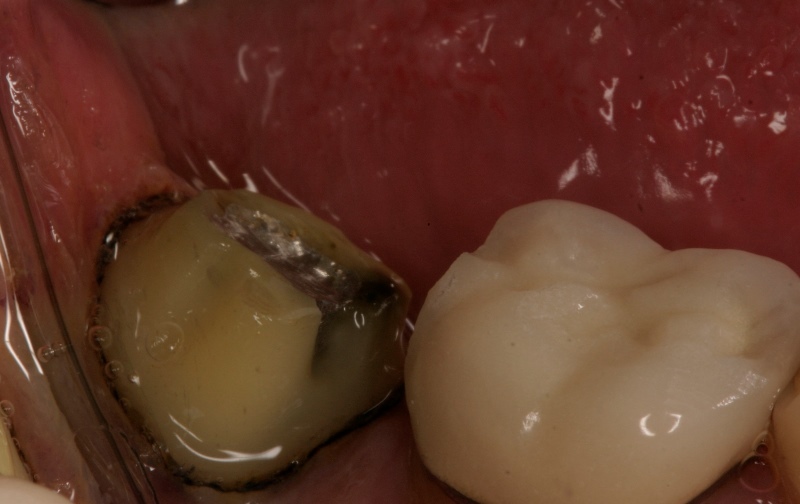 Crown lengthening is not over-treating. It is a necessary procedure to prevent future failures. You are not saving money by not doing it, you will be paying even more to have it redone all over again. To find out what is the ideal treatment for you consult with Dr. Noohi. 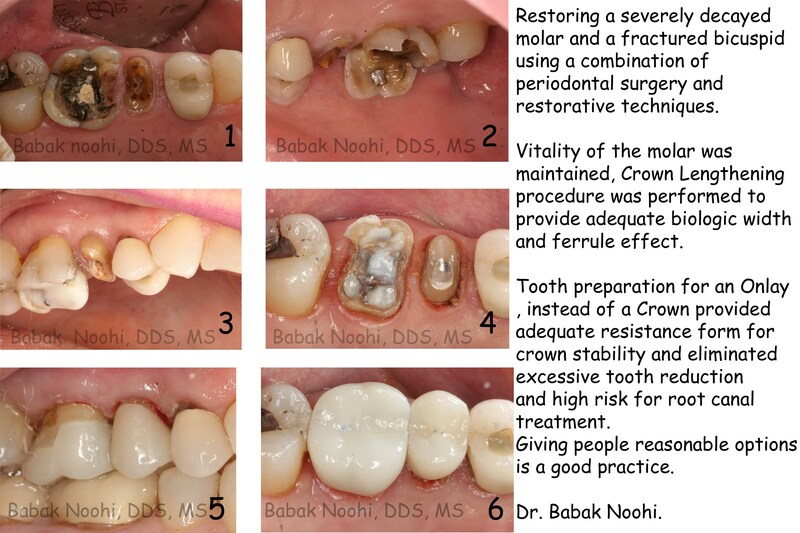 Dr. Noohi is trained to perform all periodontal surgeries necessary to restore cases like this and more. 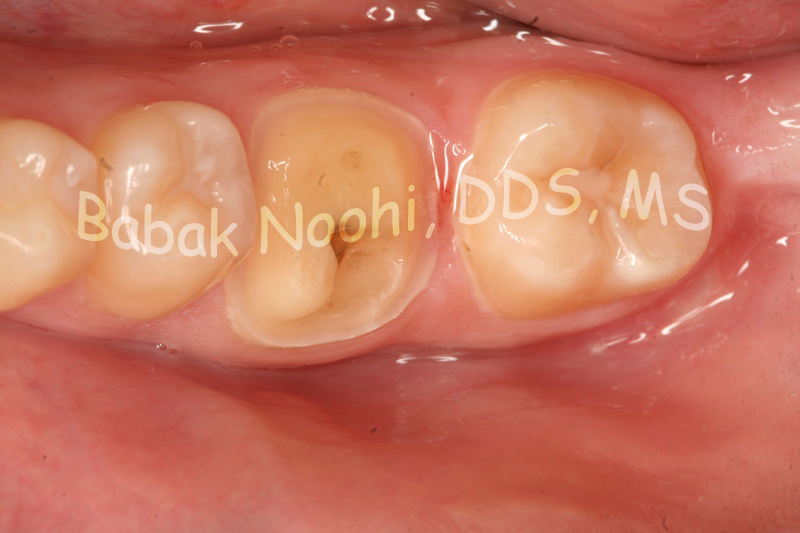 Crown came off due to lack of sability and inadequate tooth height. 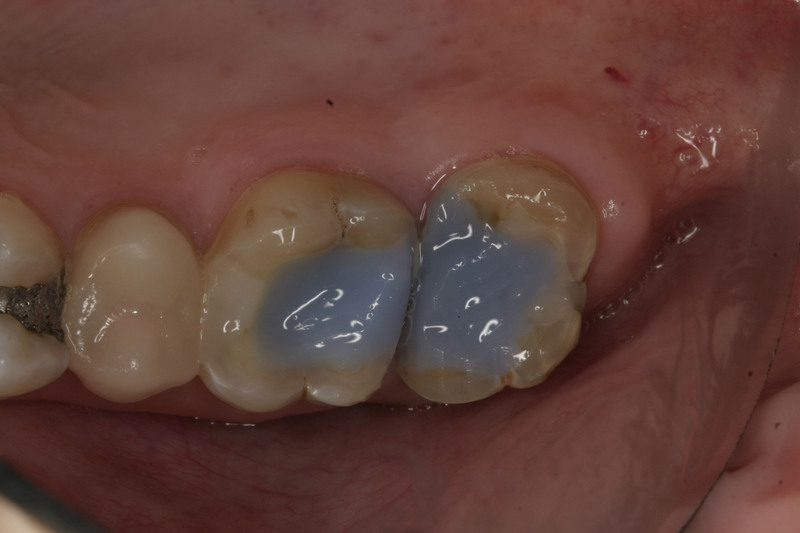 Root exposure was treated by gum graft (taking from the palate) is a simple and predictable treatment option to prevent early tooth loss. 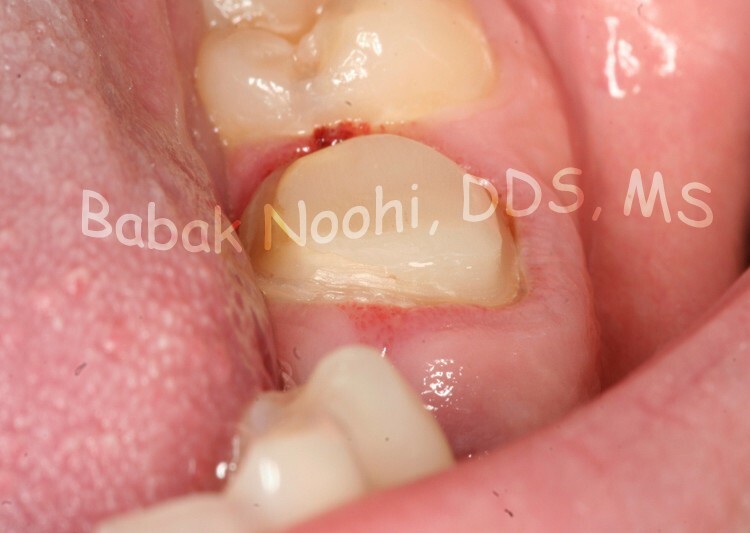 Ask Dr. Noohi, how he can help you, if you have similar problem in your mouth. 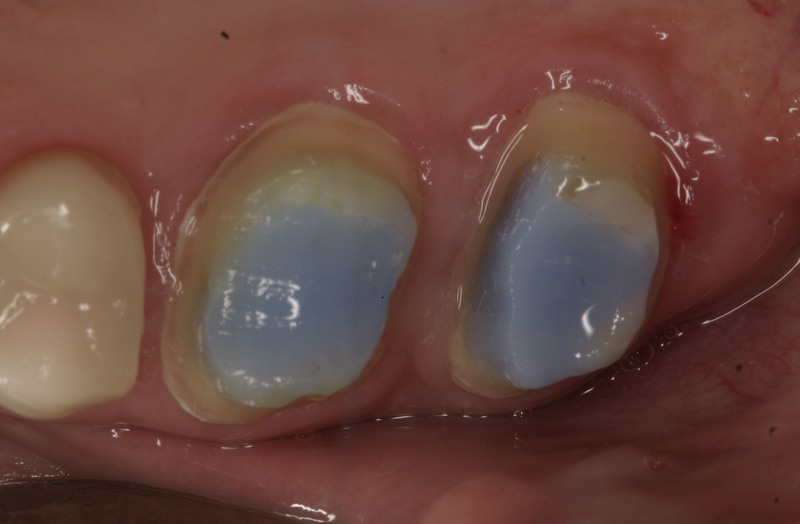 Multiple sites of thin gum with recessions are visible. Canines had been successfully grafted as single sites and paitent had decided to repeat the treatment for the four front teeth as well. 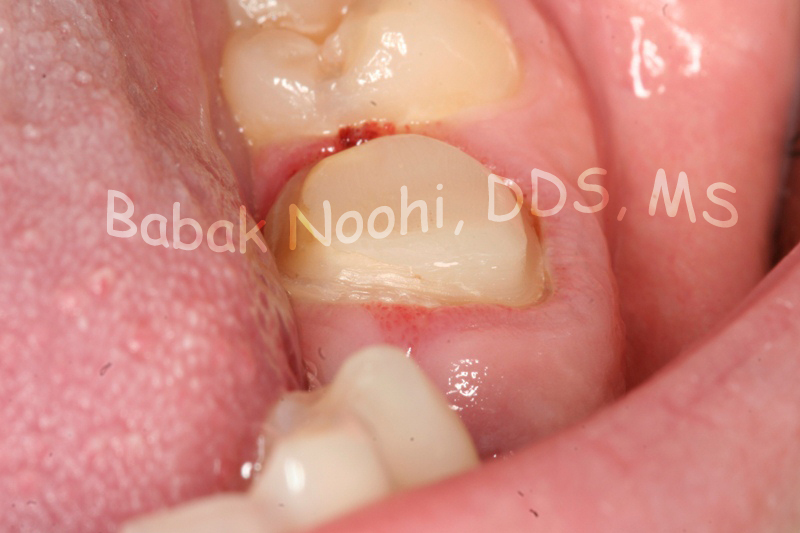 Lower incisors grafted usuing patient’s own tissue, one year follow up. it was planed to harvest a small Graft from the palat and transfer it to the recession site. 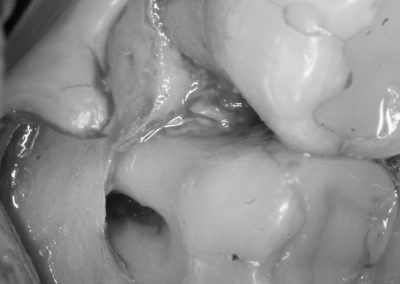 4 yr follow up shows a stable and thick gum over the defect. 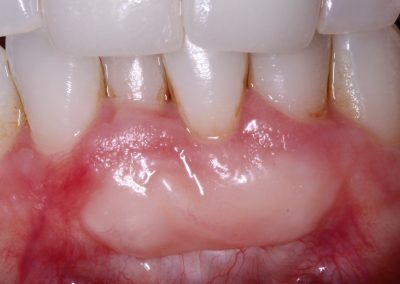 Multiple sites wiht recessions due to thin gum. 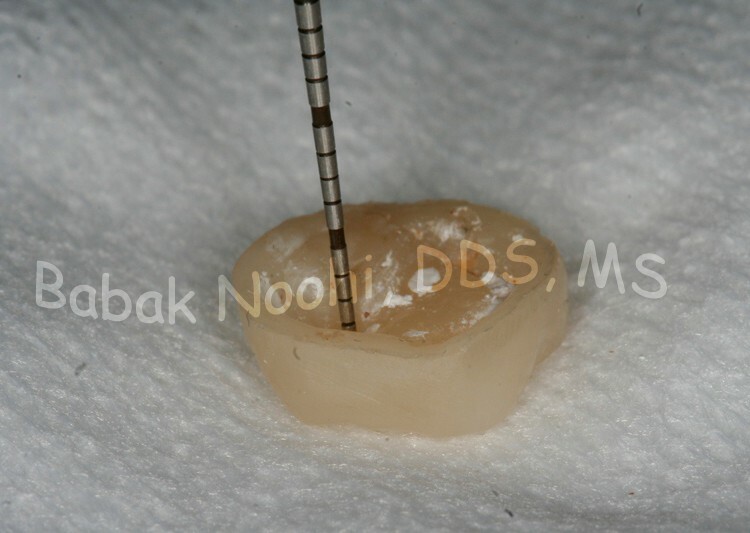 Roots are partially covered and the thin gum has thickened and its width has increased to prevent further recession. 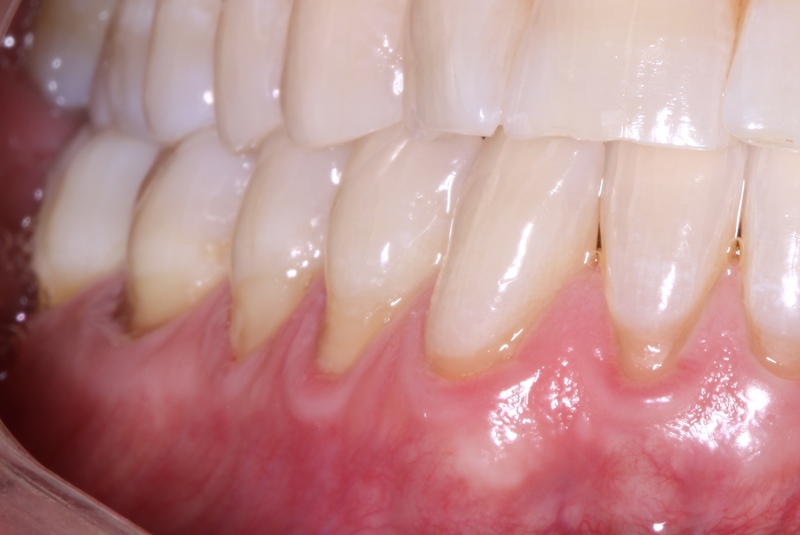 Periodontal Disease and Bone Loss around Teeth. 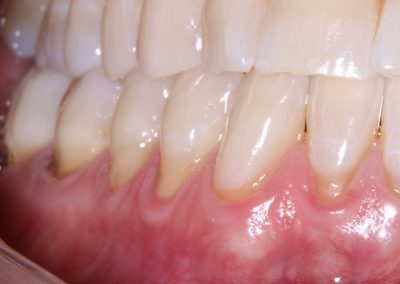 Losing bone around supporting teeth structure is real. 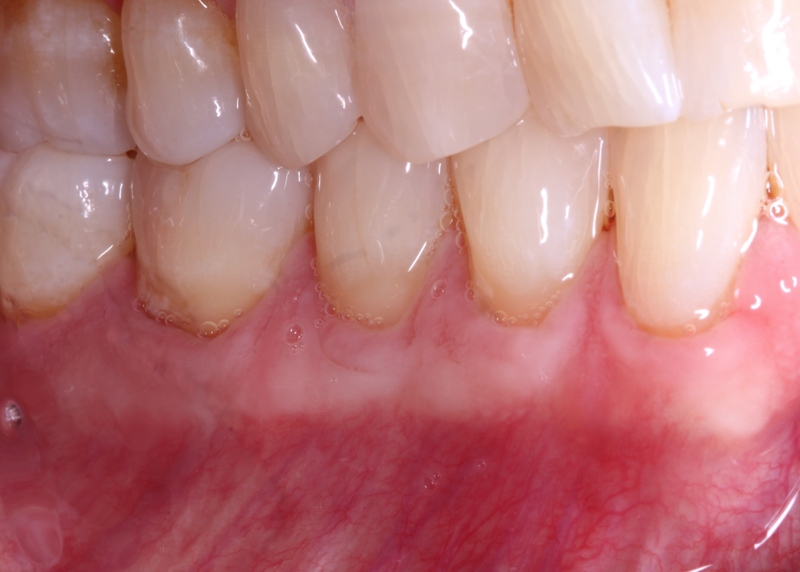 Bone loss is occuring under the gum and it is hard to see it unless the gum is reflected. If bone loss is diagnosed at early stage, the chances to treat it predictabliy is higher than let it linger till it is more advanced. 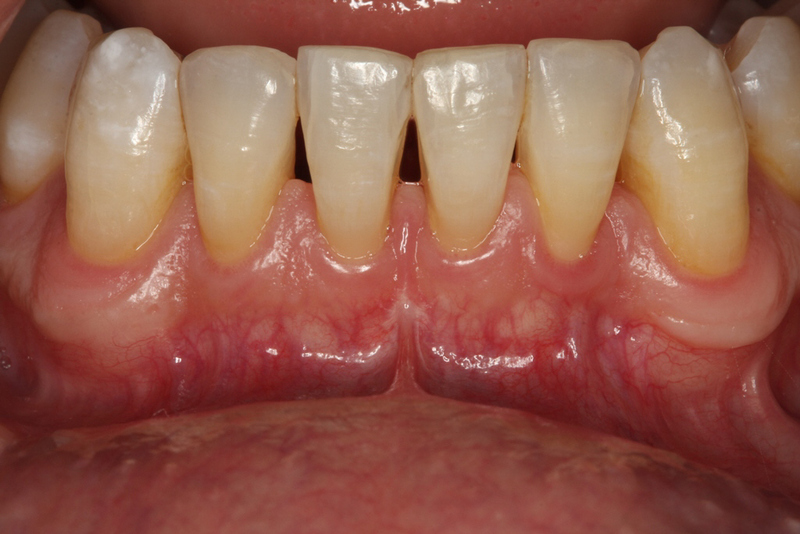 Talk to a specialist who can help you with your condition to save your teeth. 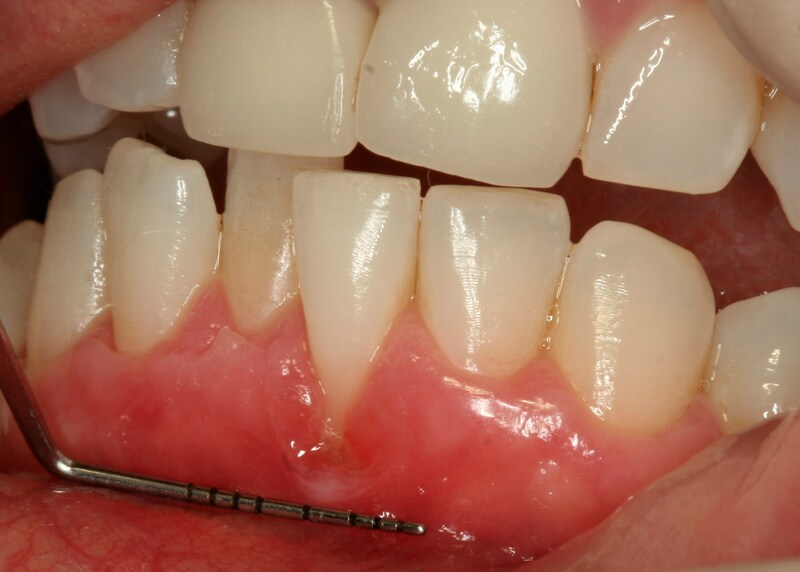 Replacing missing teeth can be successfuly done but it is an expensive option.